Each pebble is lightly hammered and shaped individually where each pair is complementary to each other. No two pairs are alike. 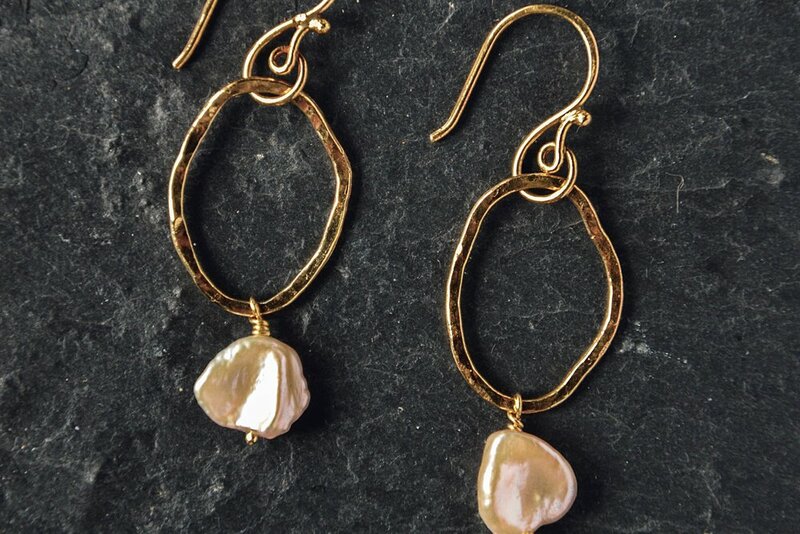 A pair of fresh water pearls gracefully hangs at the base, generating an interest when the wearer moves.